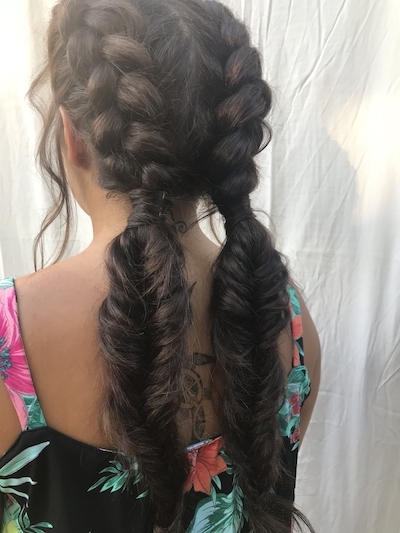 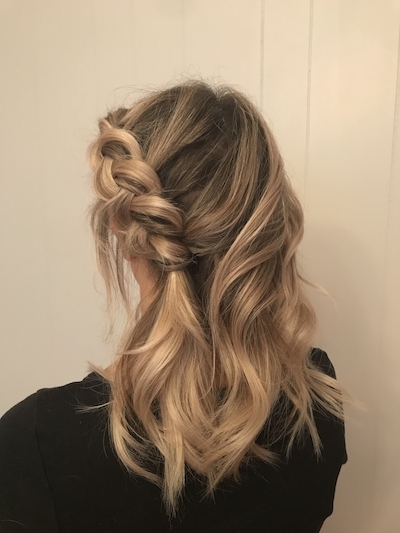 Hand tied extensions are a series of knots tied onto the hair and held in place by a bead to create a track. You can expect 1- 2.5 rows instead of the majority of your head being covered in attachments. Hand tied wefts are tied to these tracks to give you length and volume. All with no sticky adhesive or hard bonds near your scalp.  This makes a hand tied extension the most comfortable method for most people to wear. 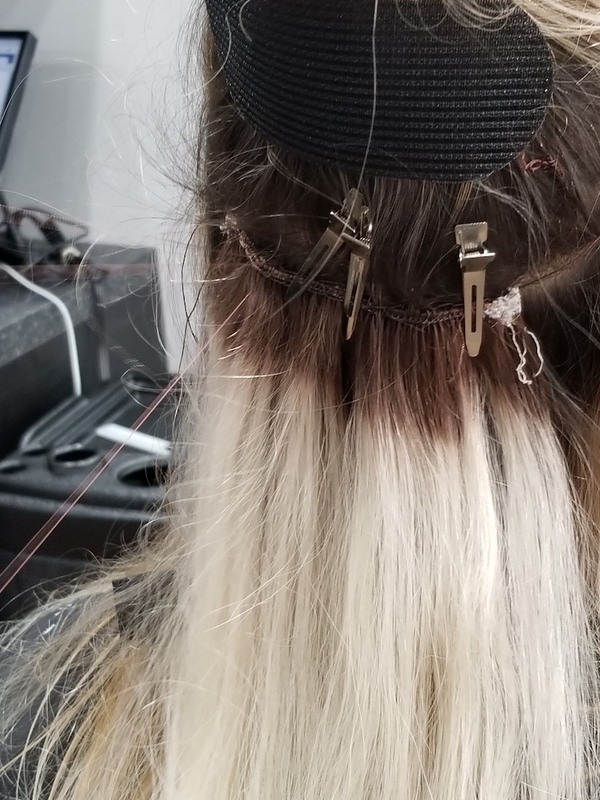 Oh, and you can still put your hair in a pony tail! Wait...What’s a hand tied weft? 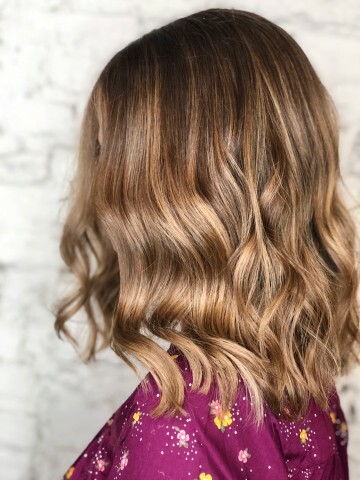 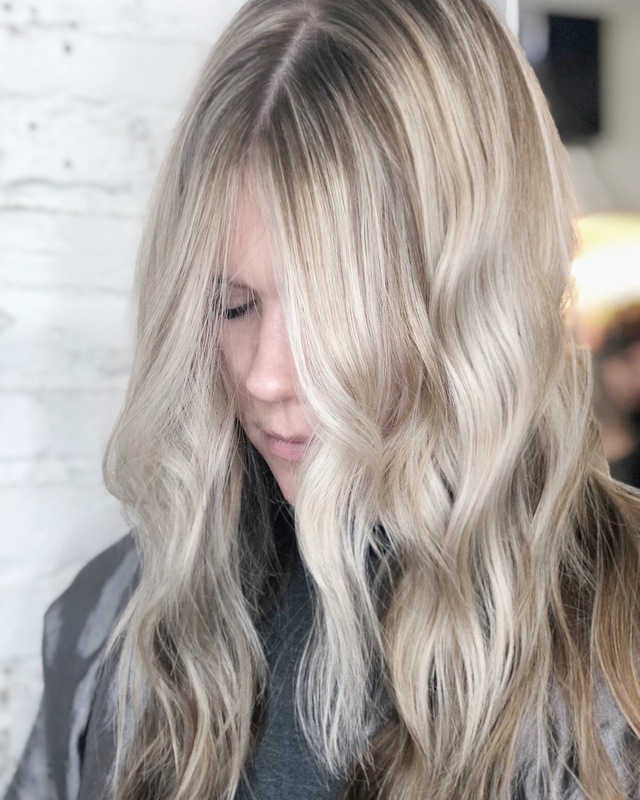 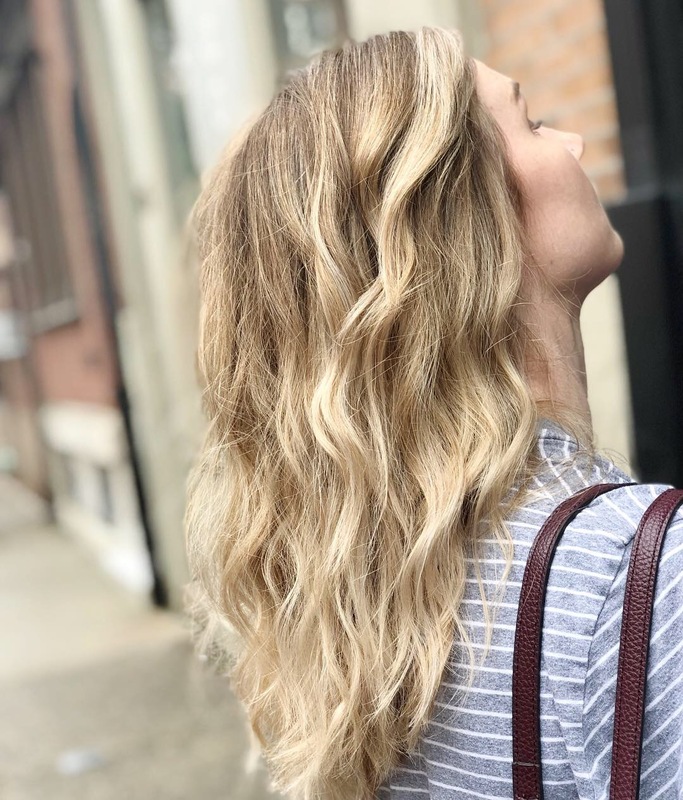 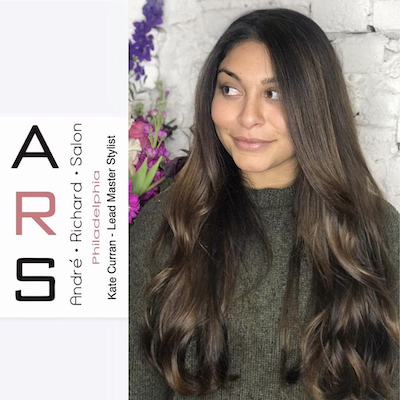 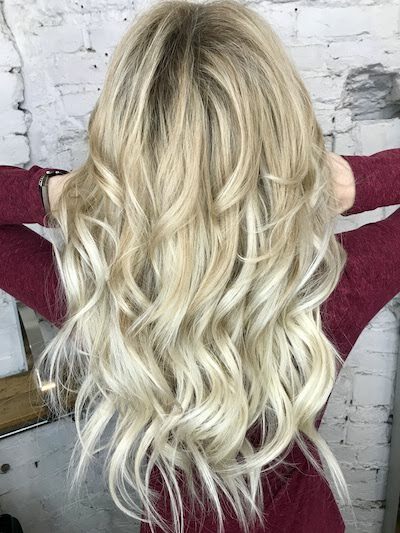 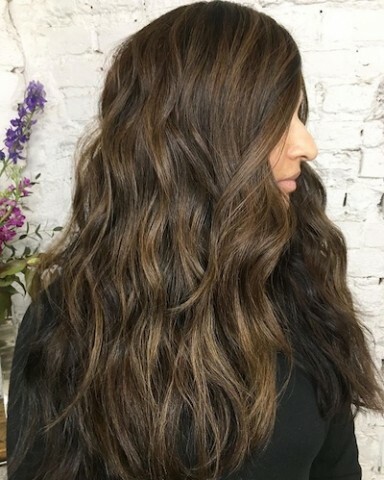 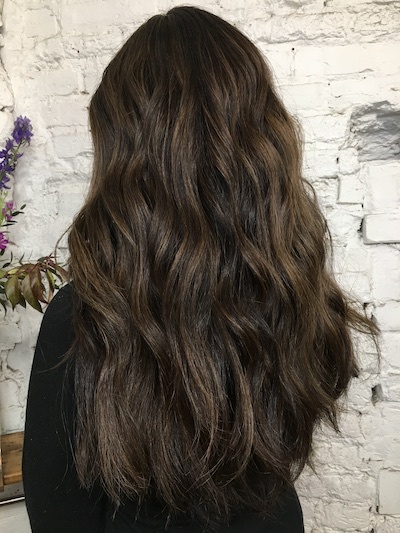 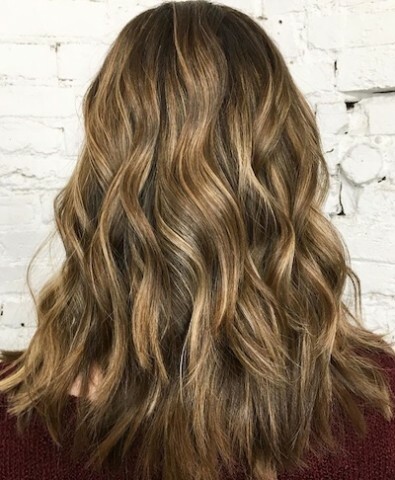 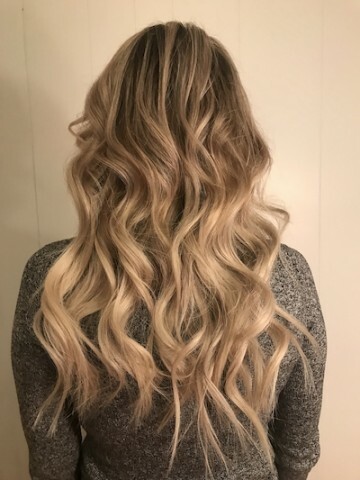 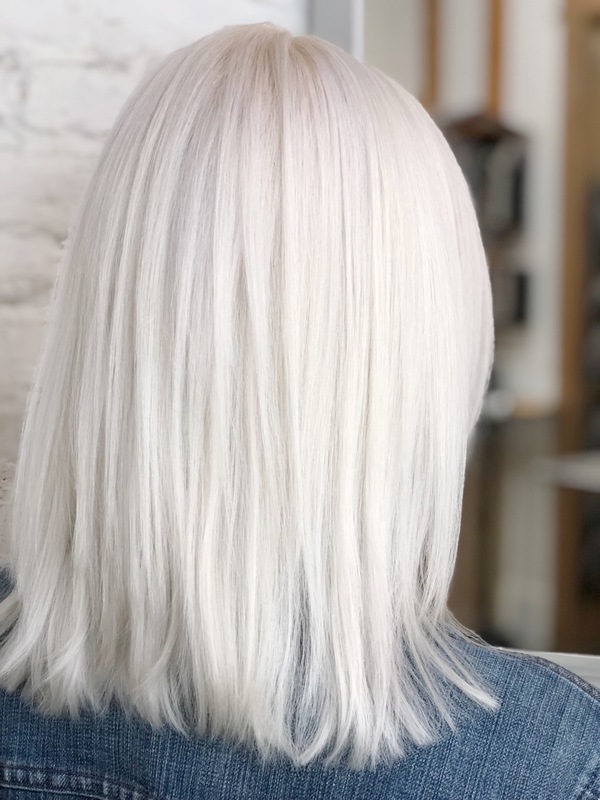 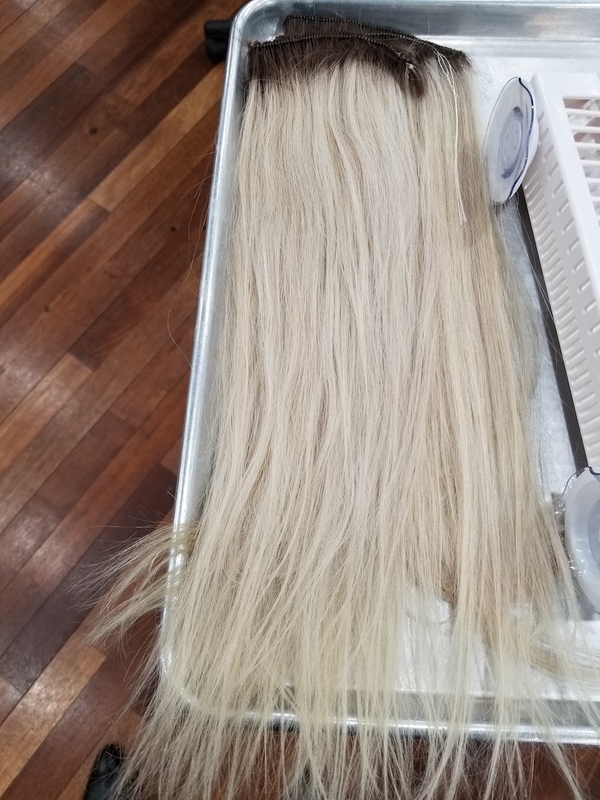 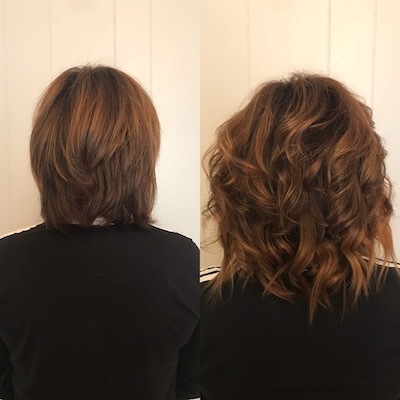 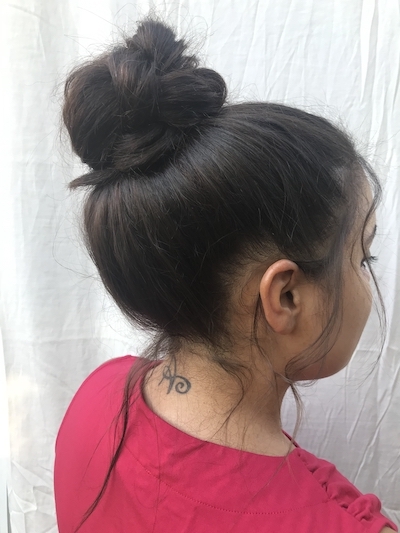 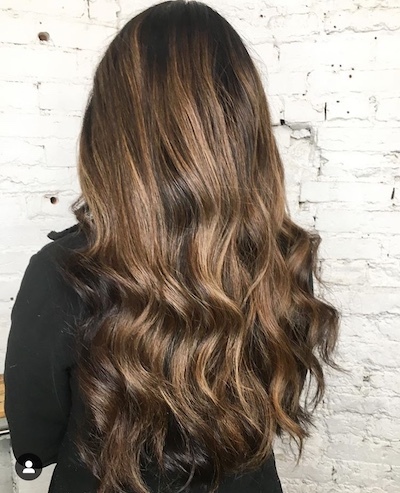 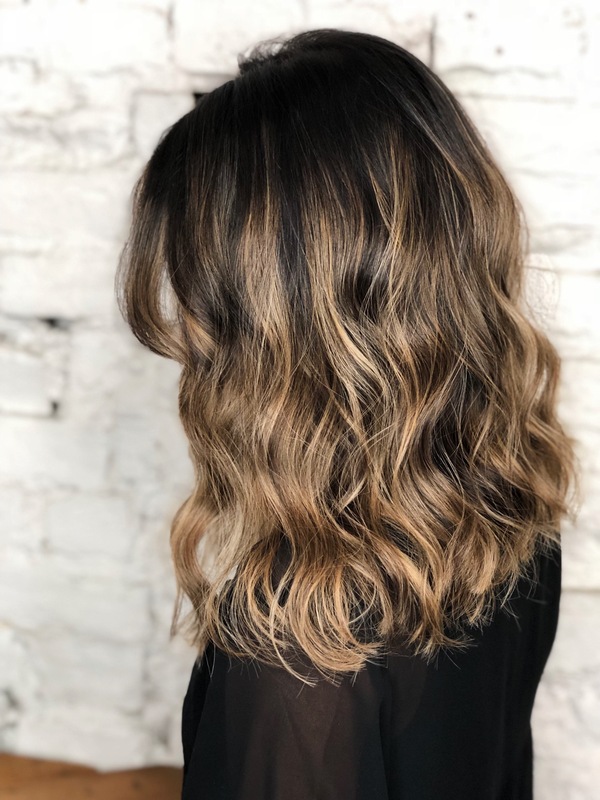 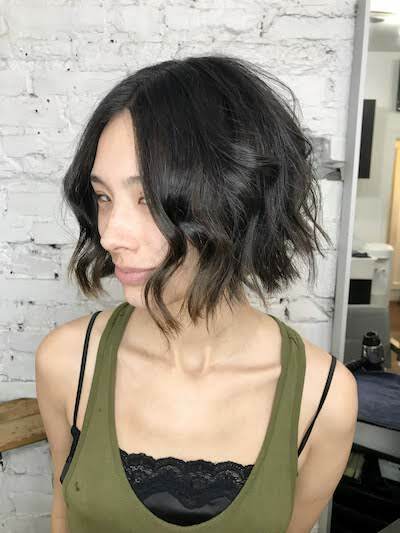 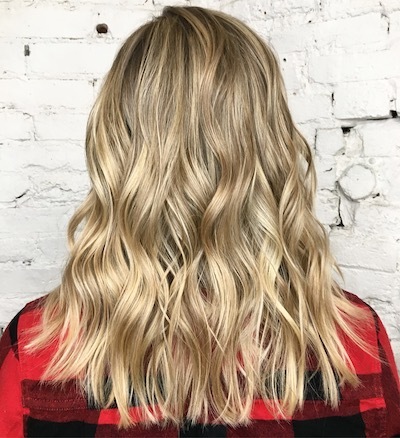 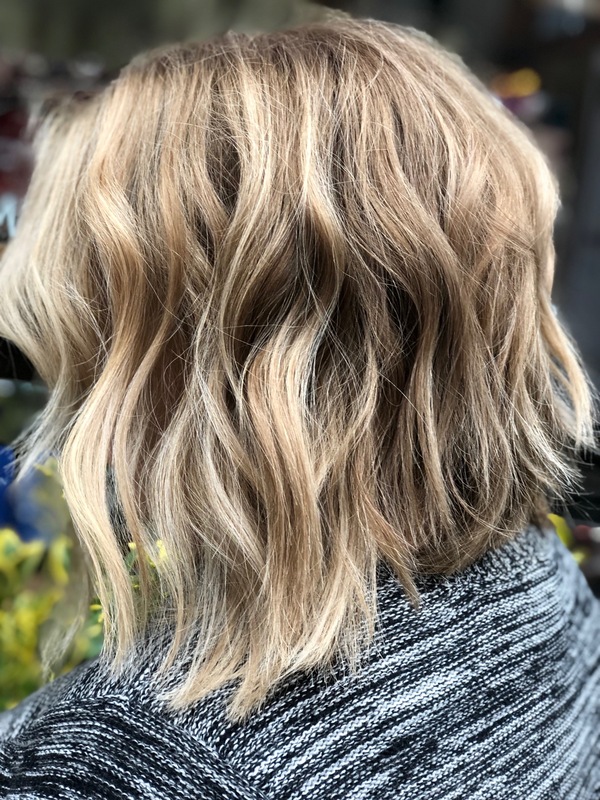 It’s a thin weft of hair that is tied by hand instead of by a machine This means it will lay super close to your scalp, making it blend in with your hair more seamlessly than any other type of hair extension. 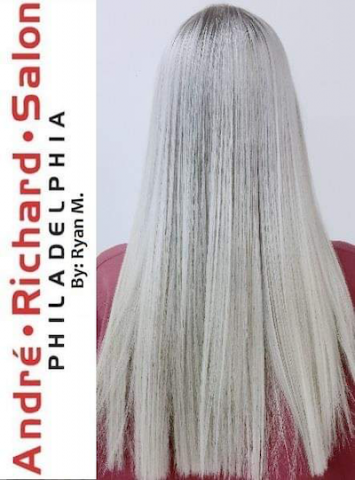 Because the weft is hand tied with string it can be colored with the hair for a beautiful blend from base to tip. 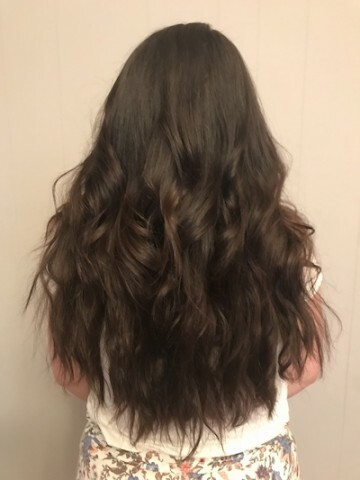 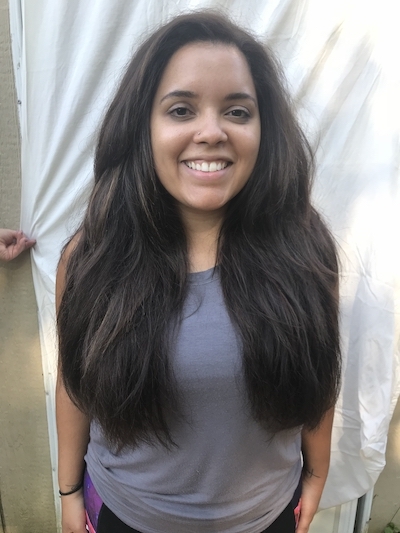 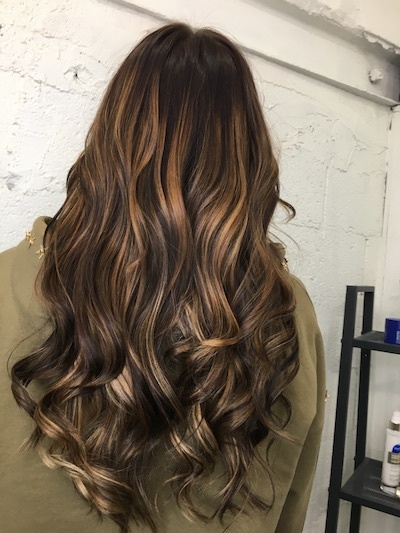 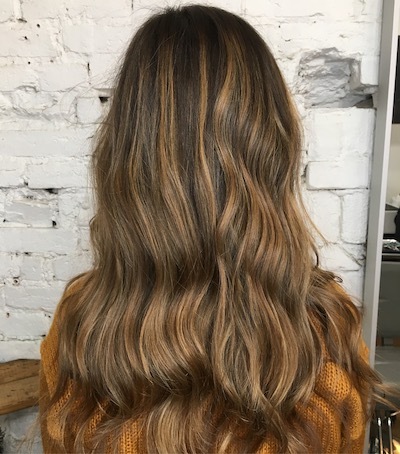 How long can I wear my extensions? 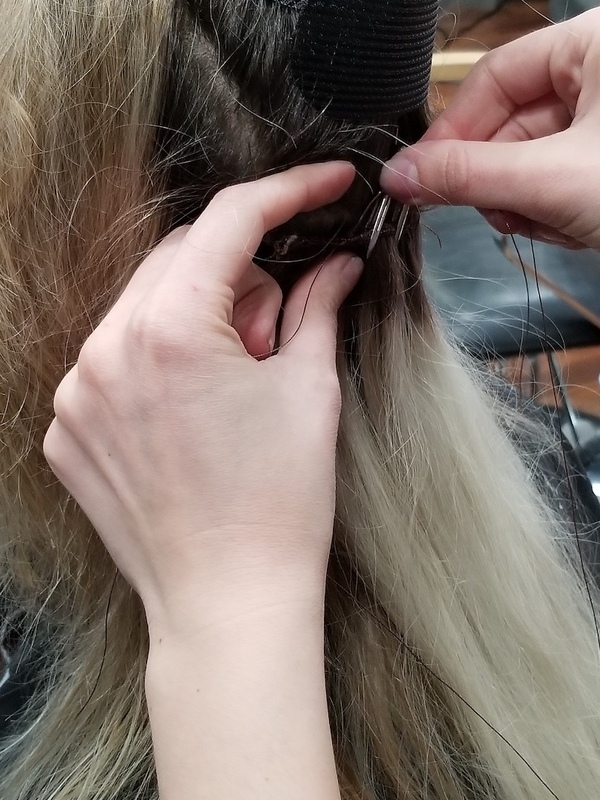 You can reuse your wefts for about 4-6 months. 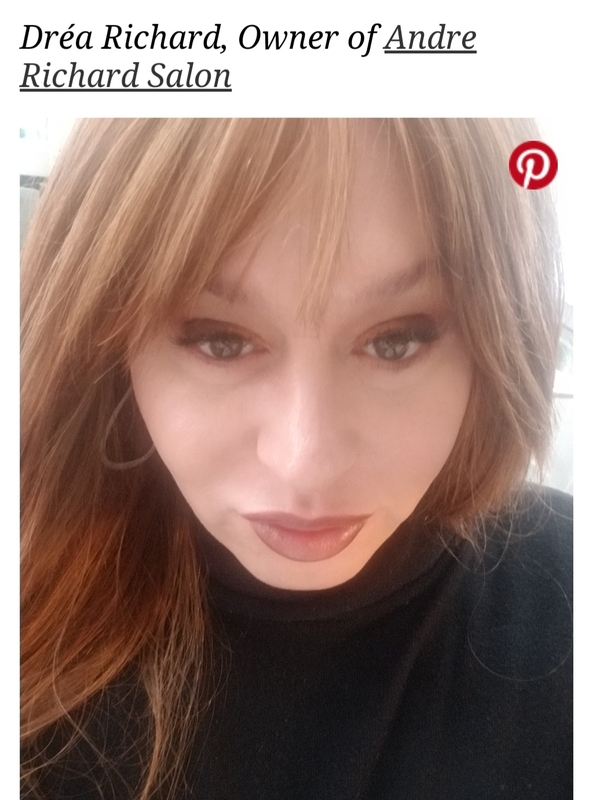 This depends largely on at-Home care. 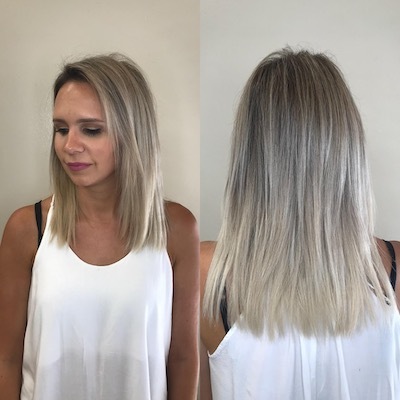 Every 6-8 weeks you will need to have you extensions tightened. 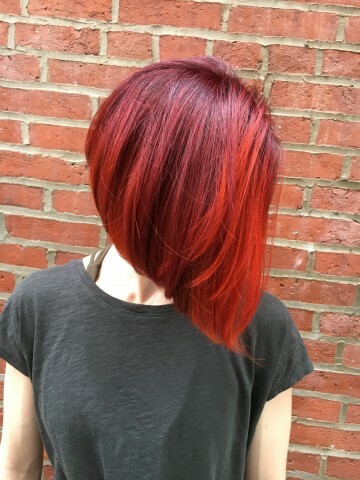 They grow out just like color does. 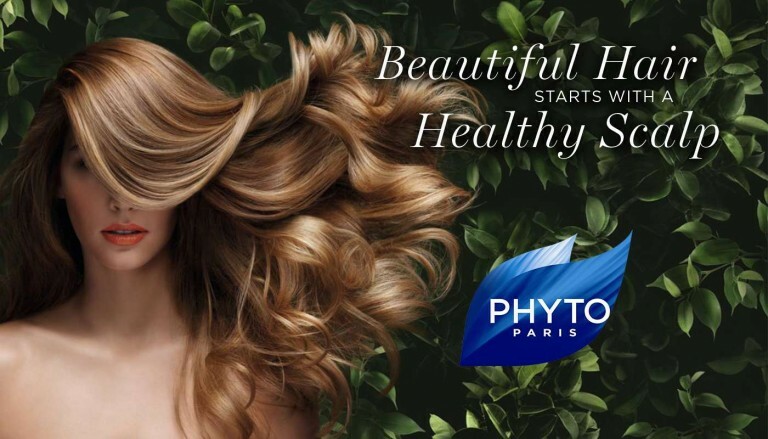 This depends on your hair growth and what is comfortable for your lifestyle. 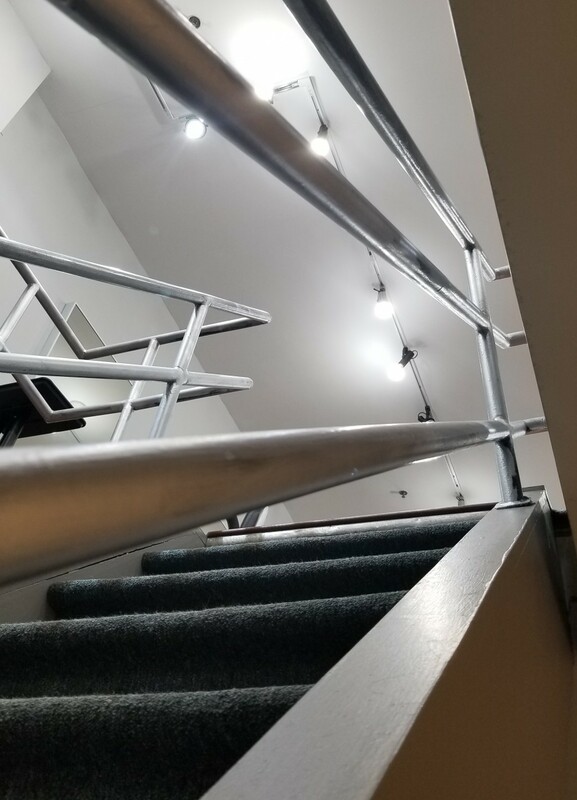 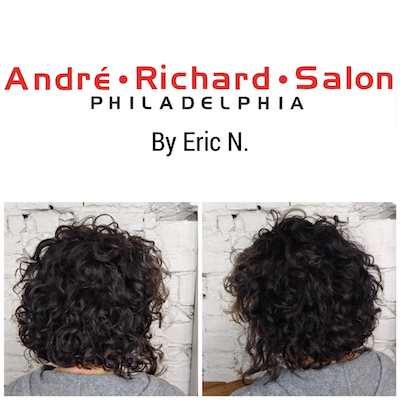 Cost is available by consultation (free!). 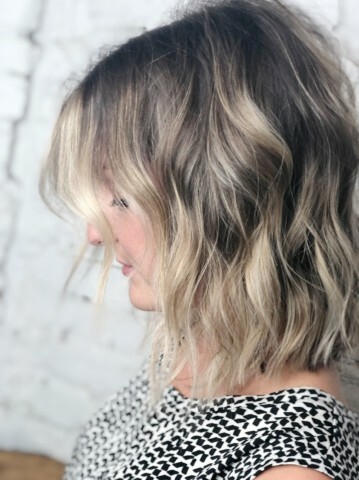 Key factors including desired length and amount of hair needed will dictate the cost. 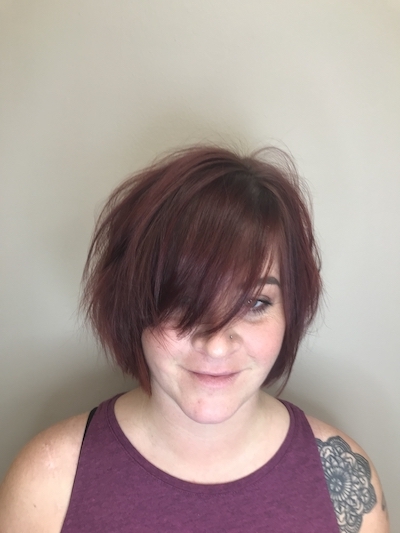 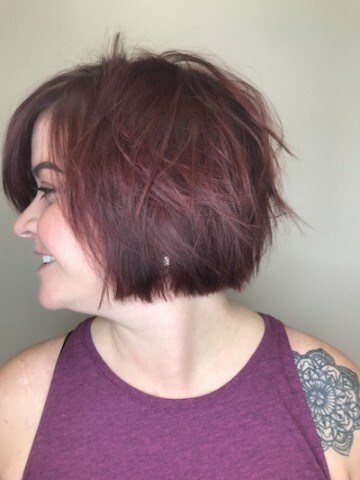 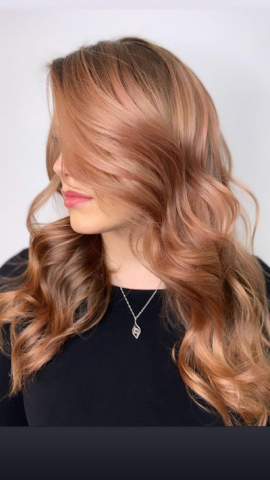 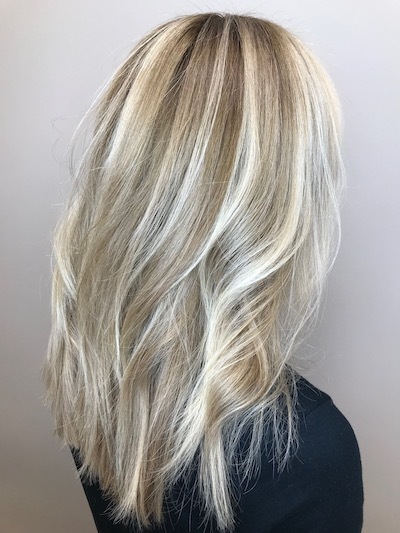 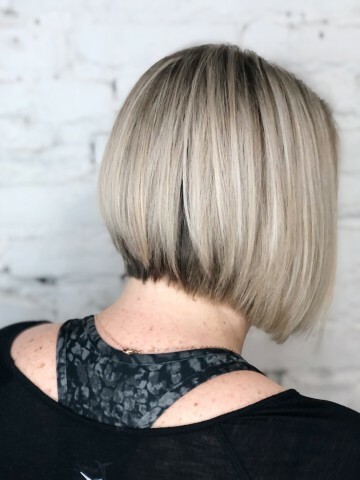 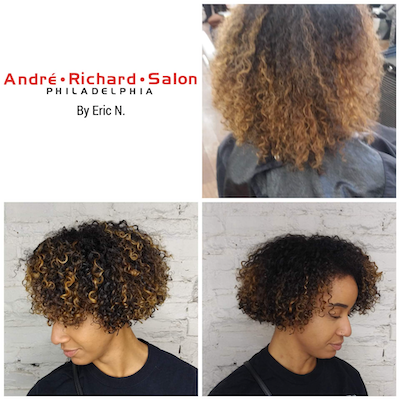 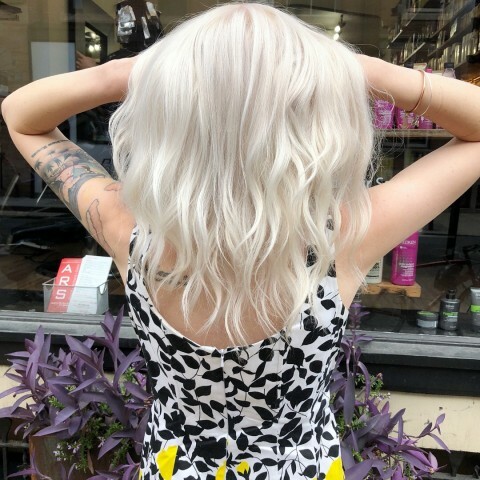 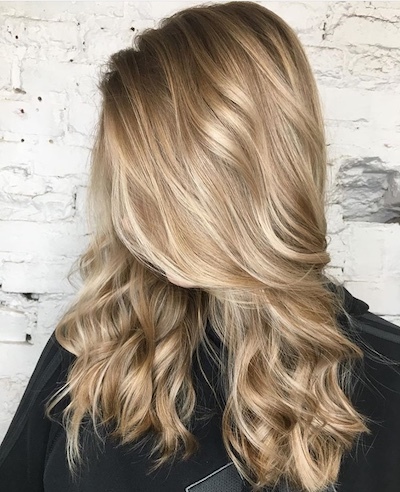 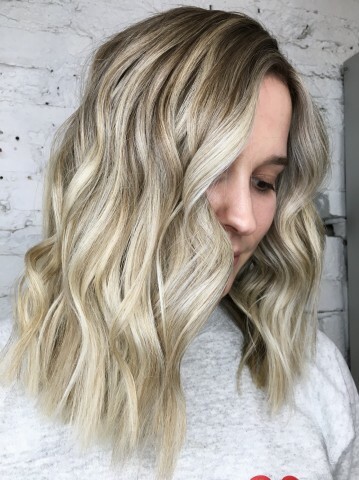 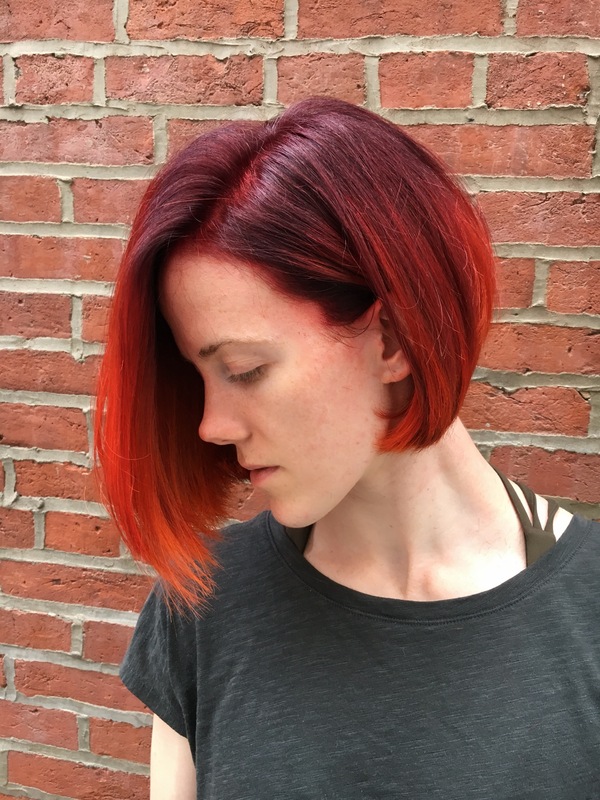 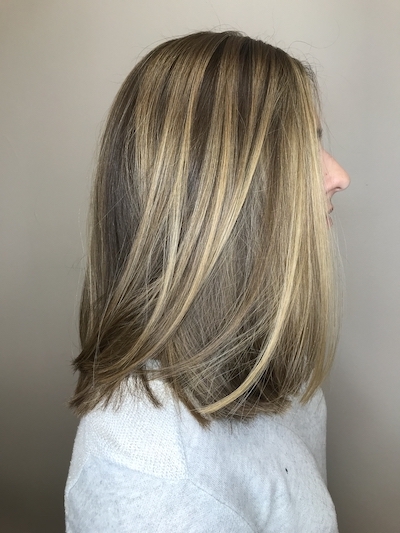 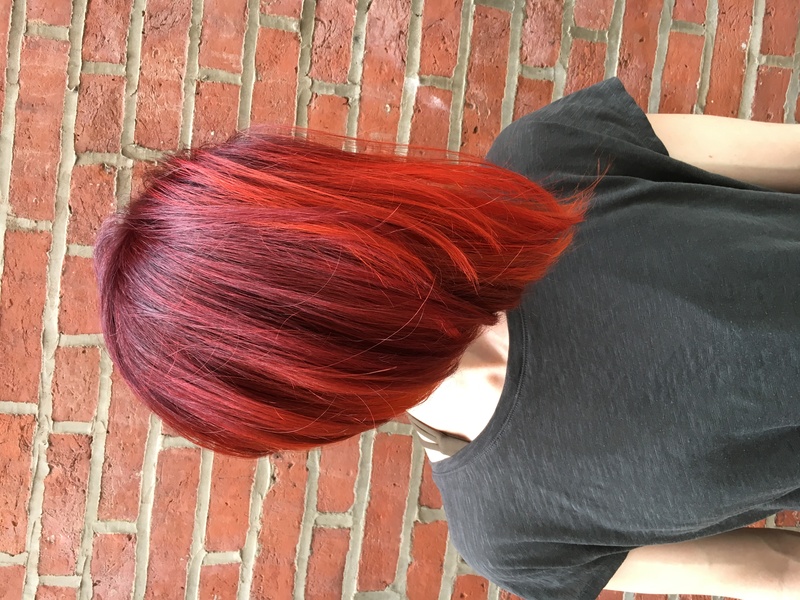 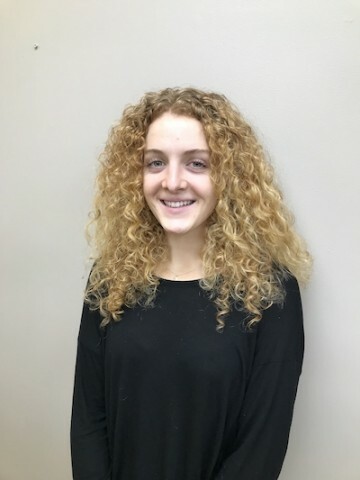 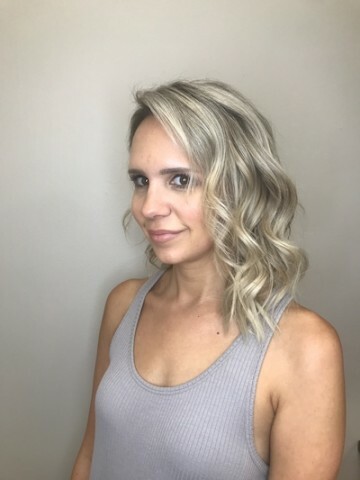 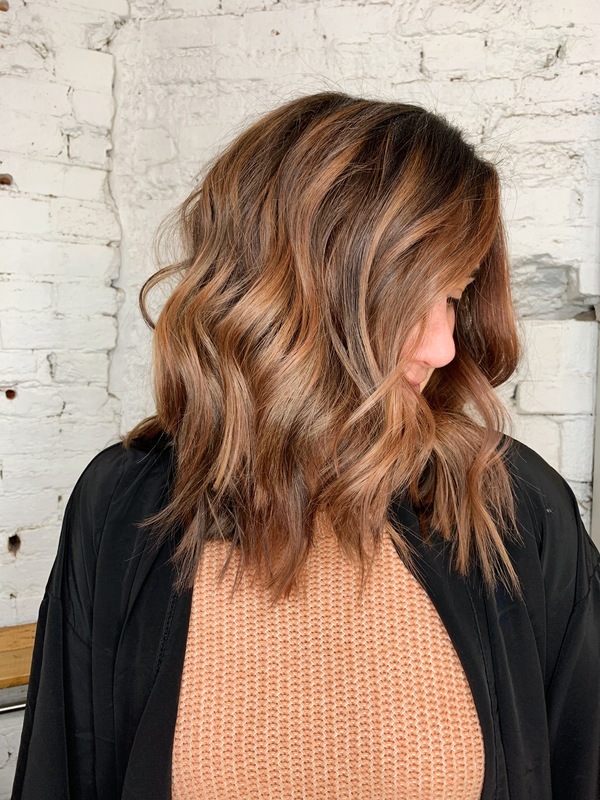 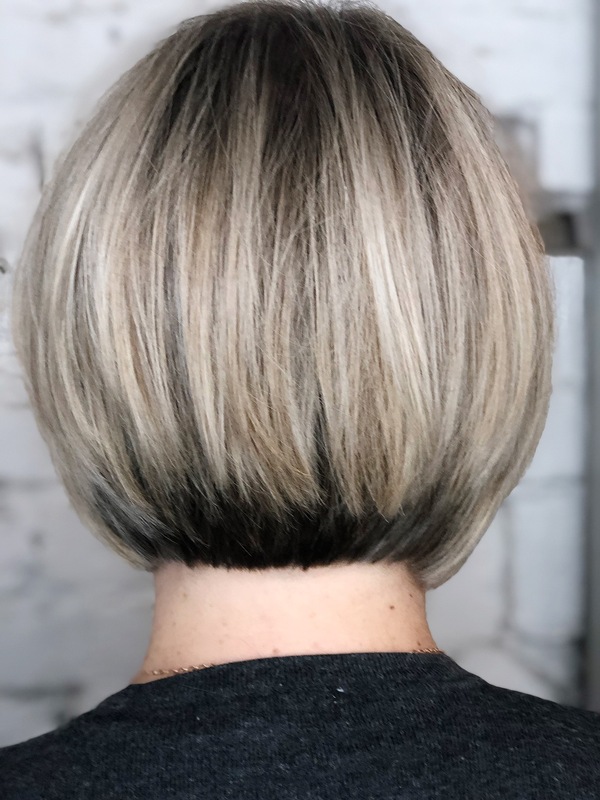 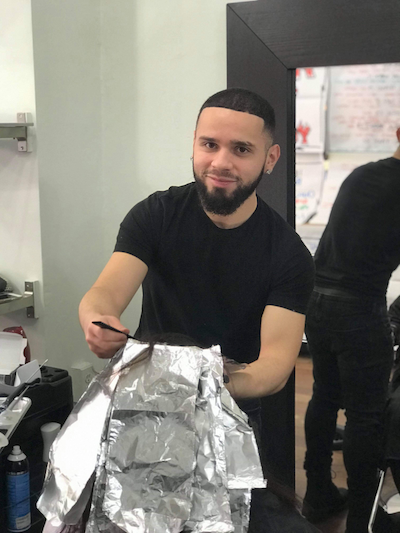 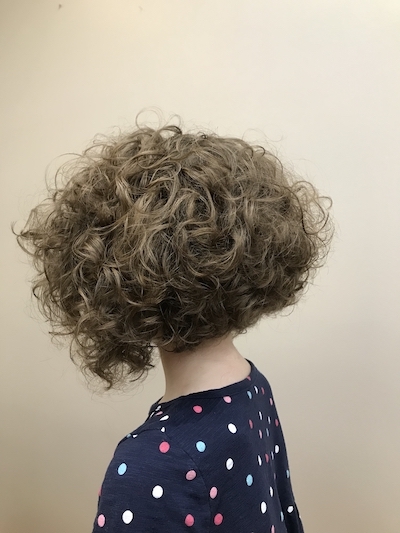 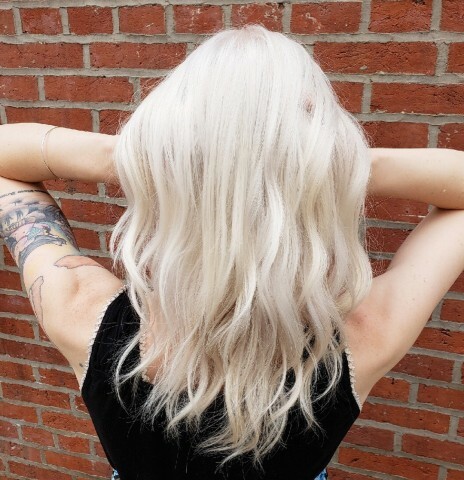 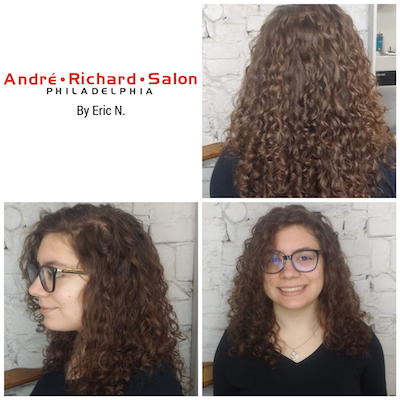 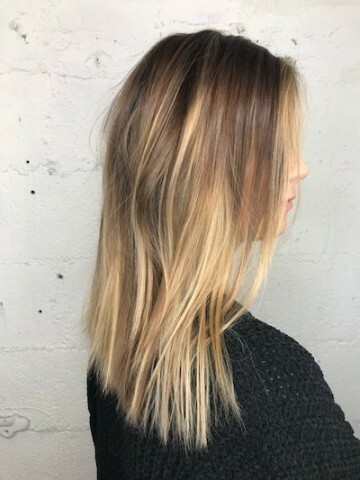 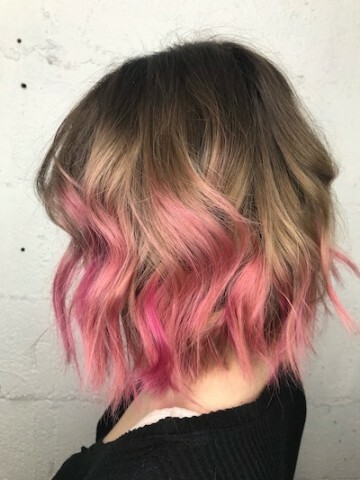 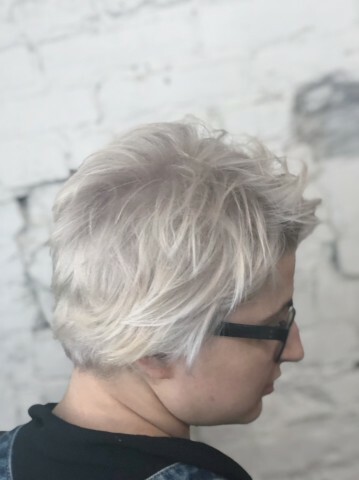 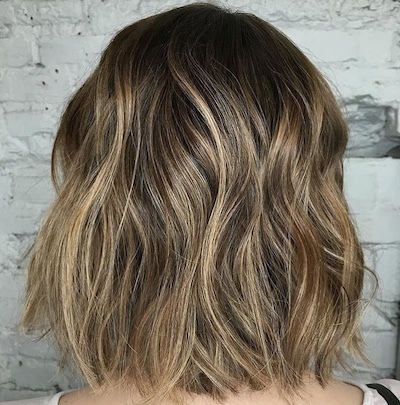 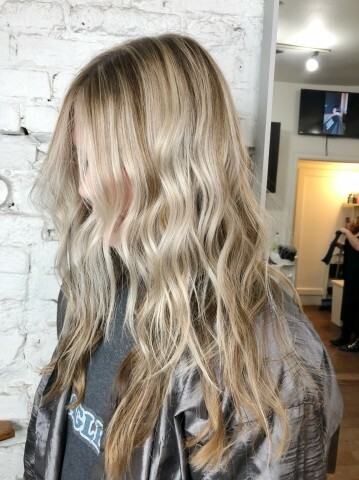 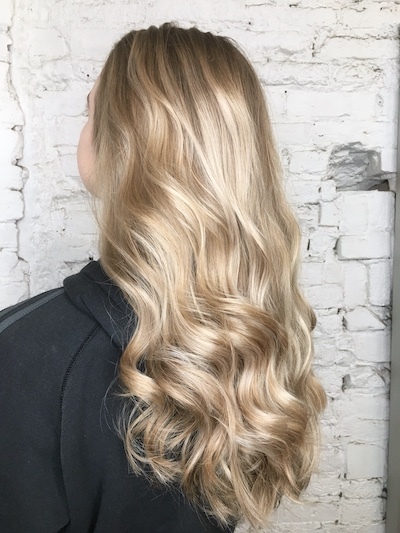 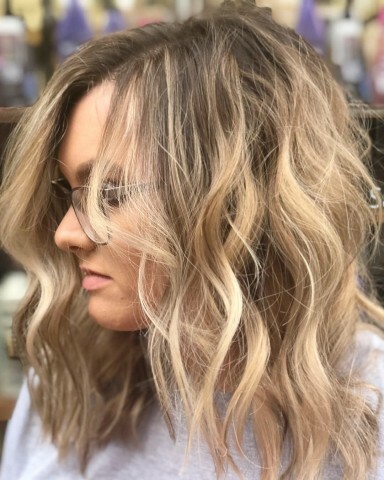 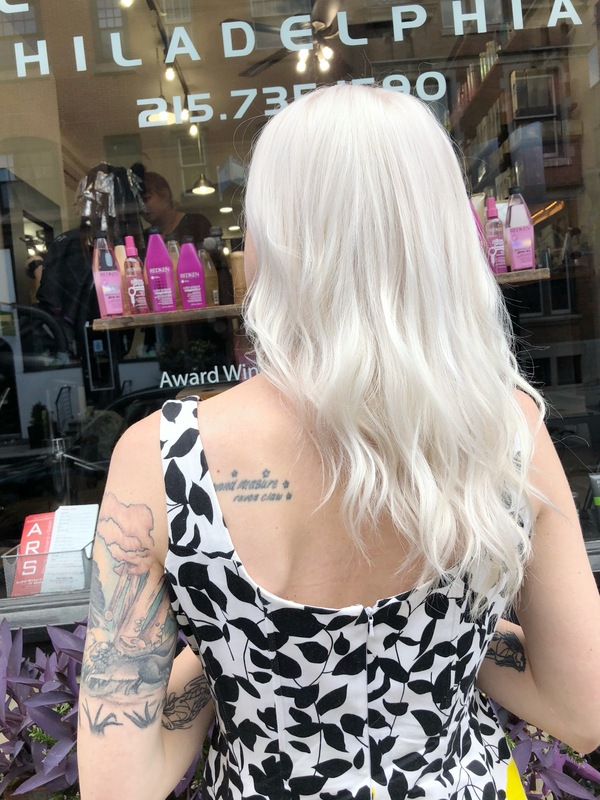 Morgan has taken advanced training with Redken, Wella, and Kenra hair color and cutting techniques. 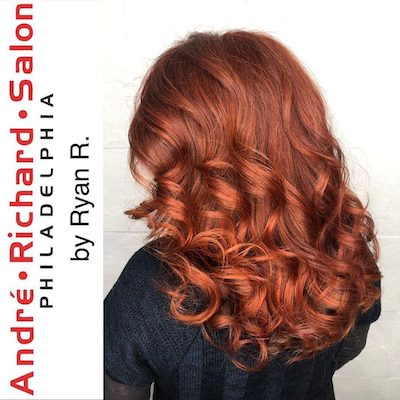 Along with advanced training in all modern trends for hair color, cutting and makeup application. 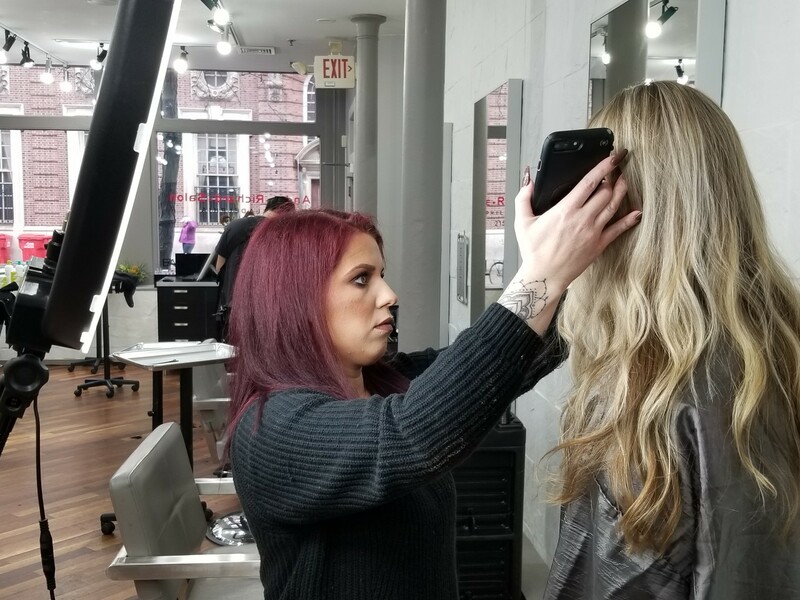 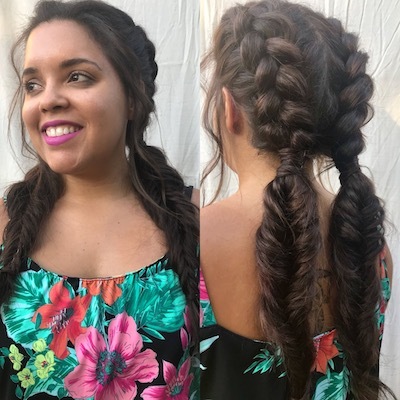 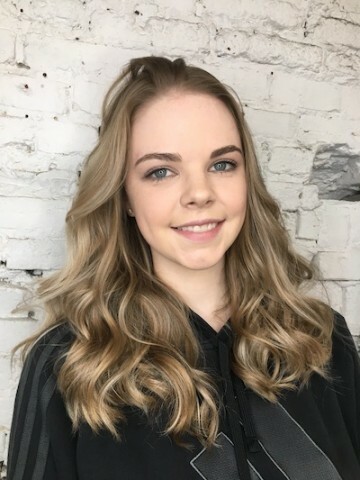 Morgan has had the opportunity to take part in photo shoots with Inspire Hair Books and has had the opportunity to do hair and makeup for a handful of local runway shows. 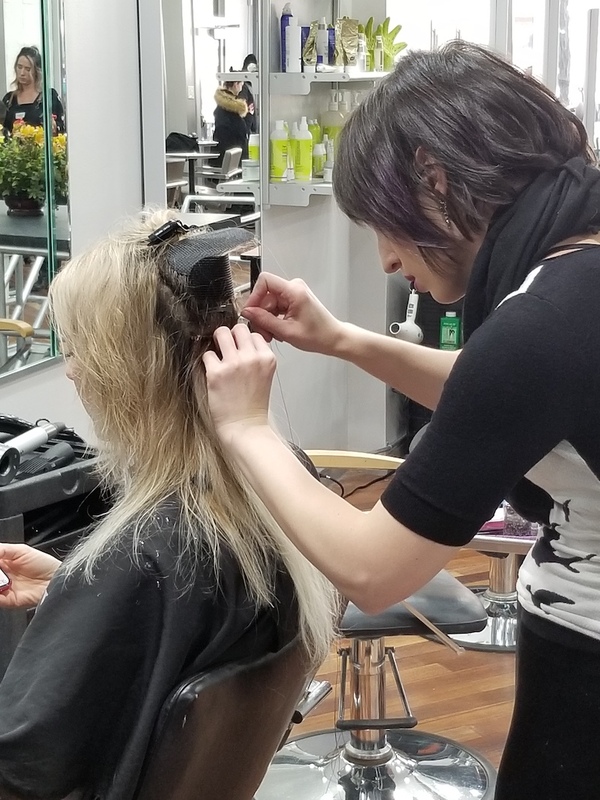 A perfectionist with her work she strives to make every client feel and look the best they can when leaving her chair! 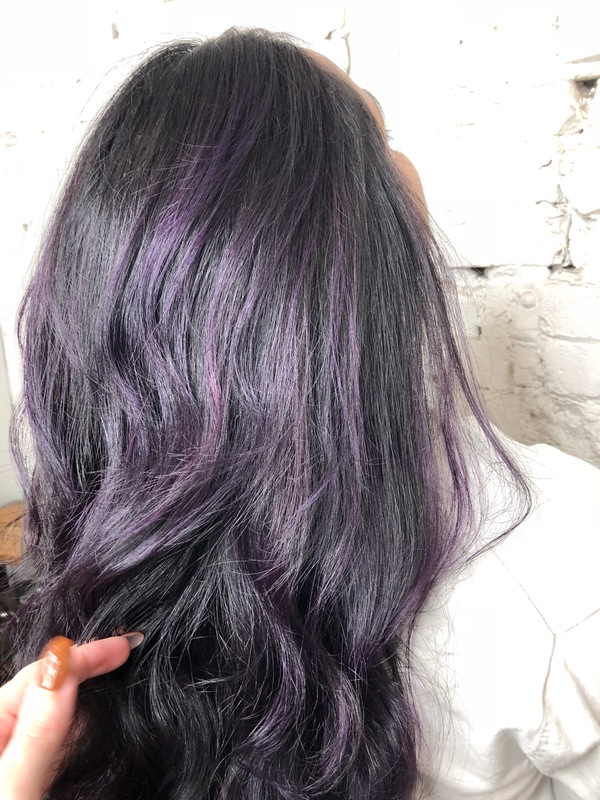 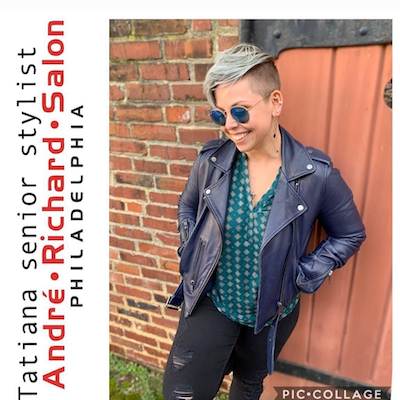 She is absolutely a master stylist, specialist and hair color expert. 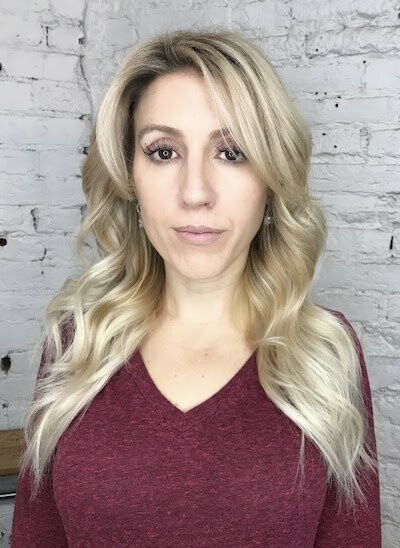 Morgan has successfully completed the ARS intensive training program for hair color and cutting techniques. 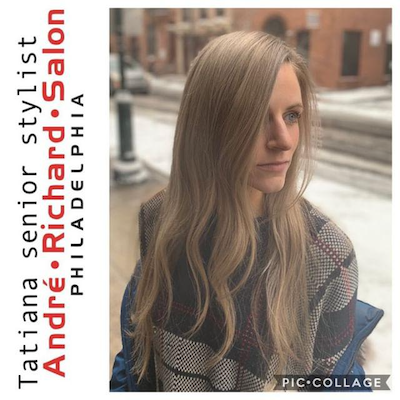 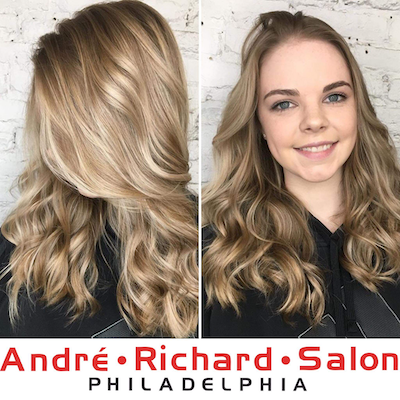 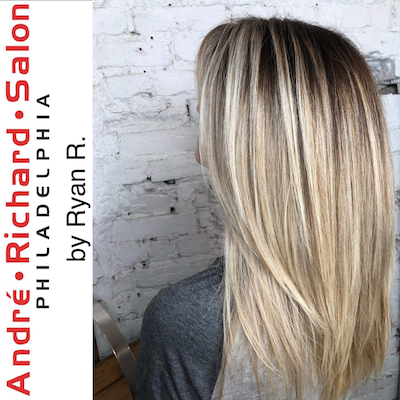 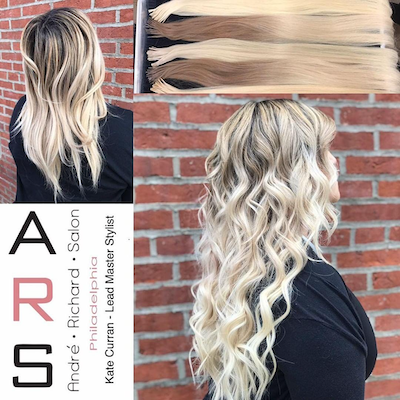 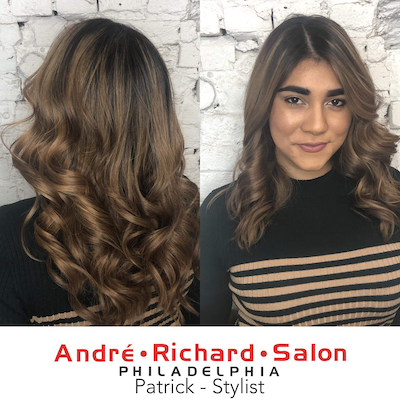 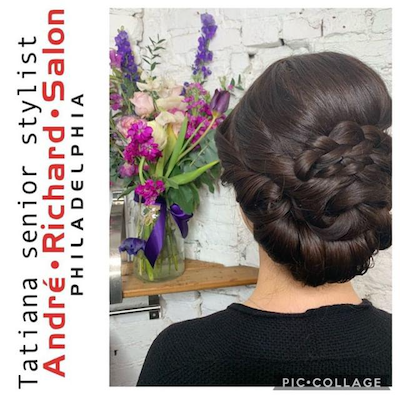 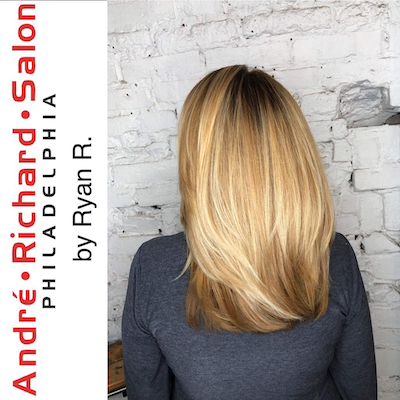 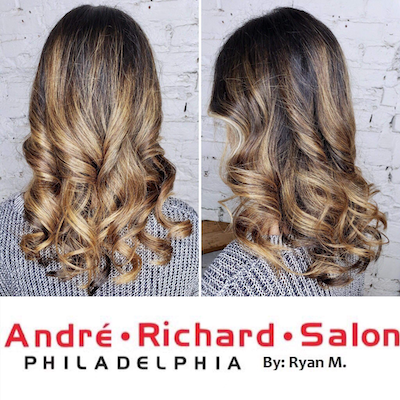 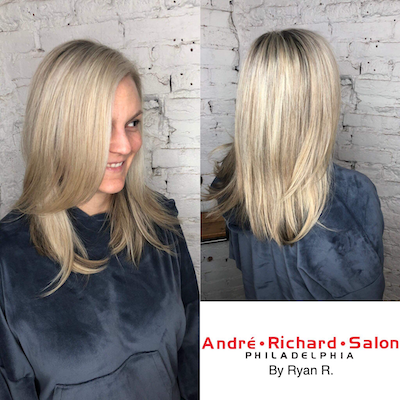 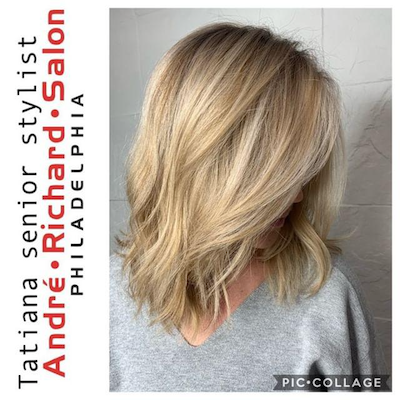 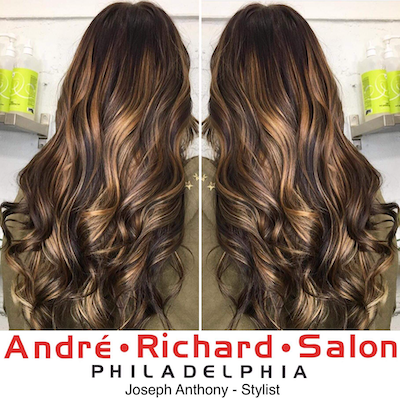 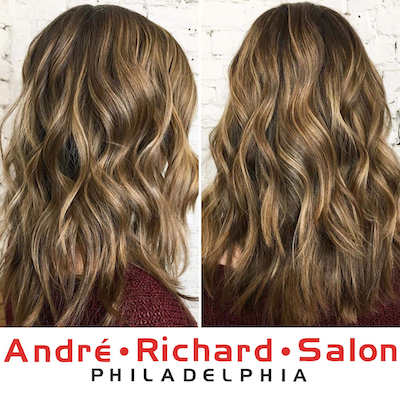 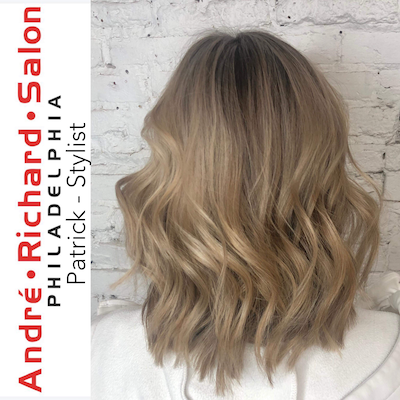 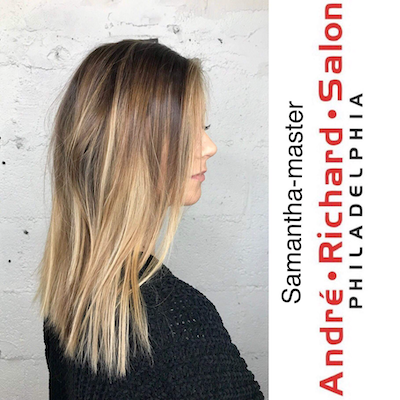 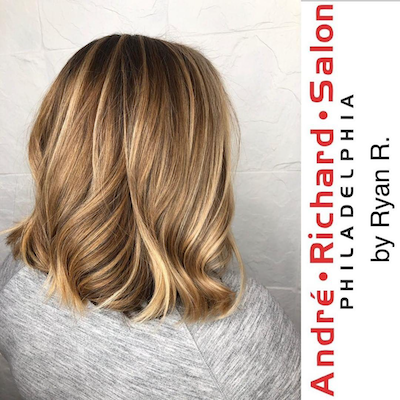 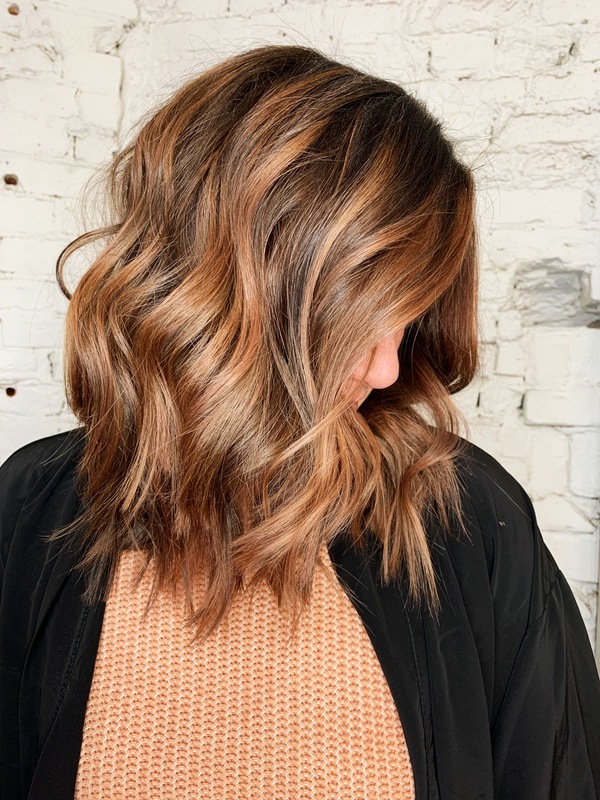 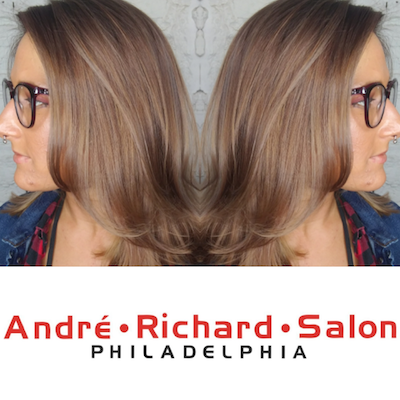 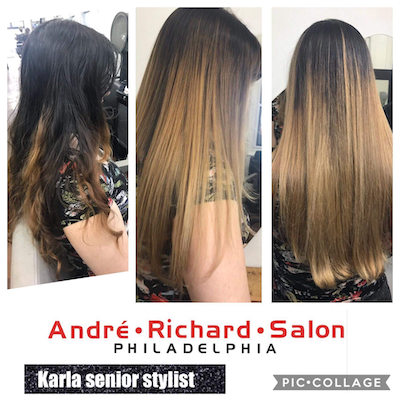 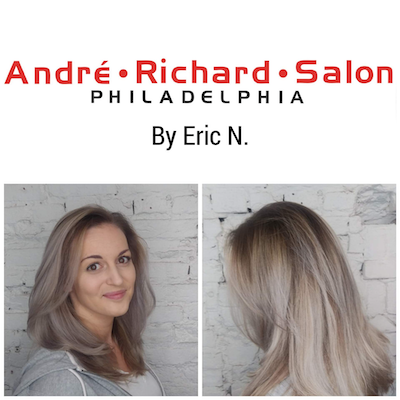 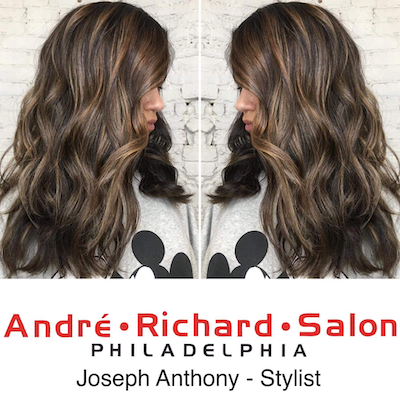 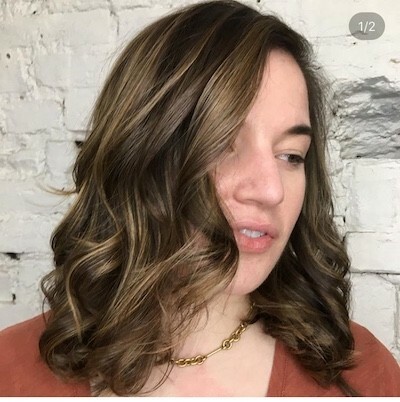 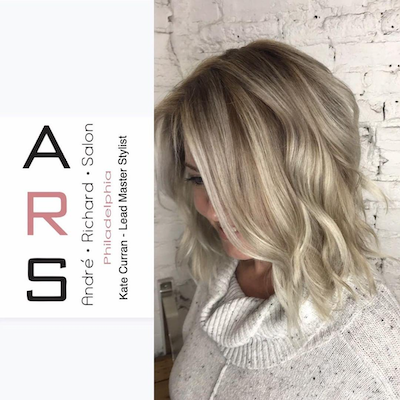 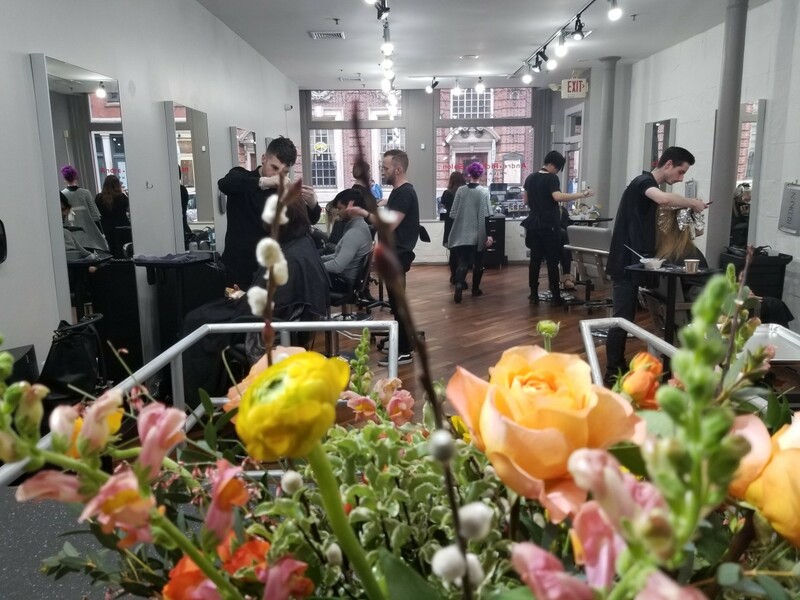 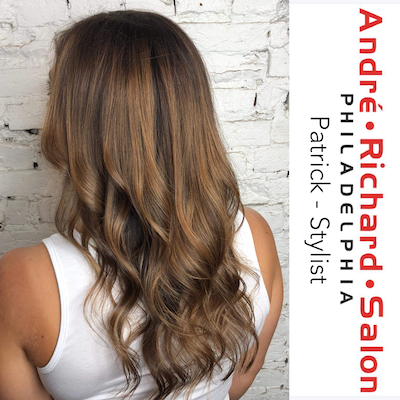 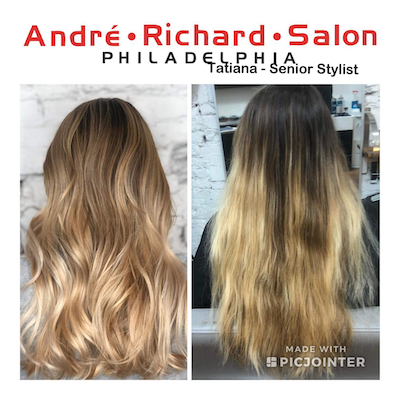 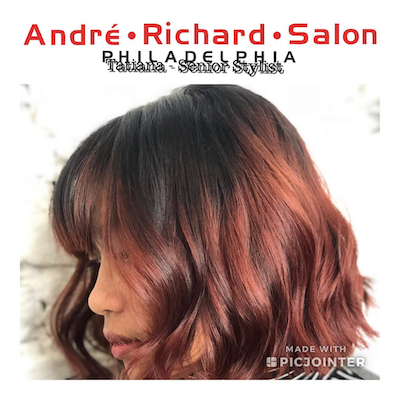 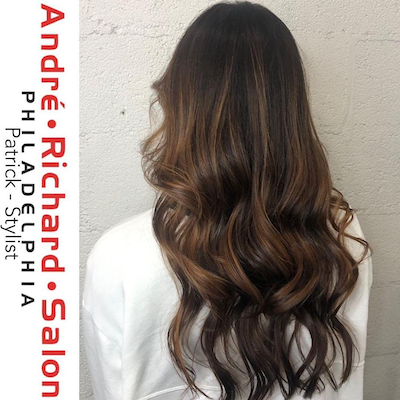 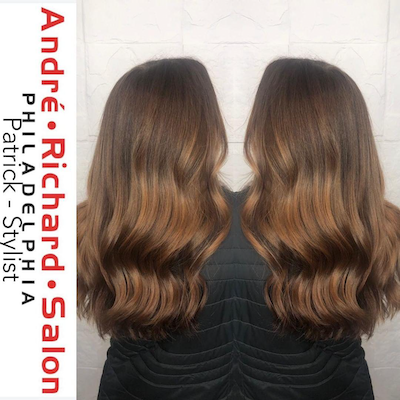 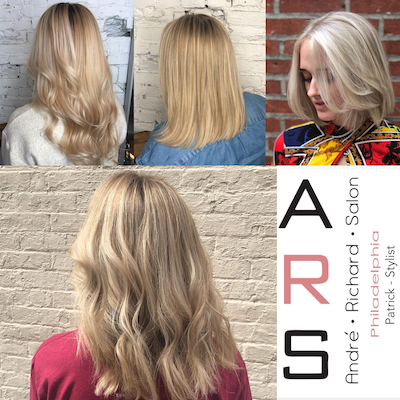 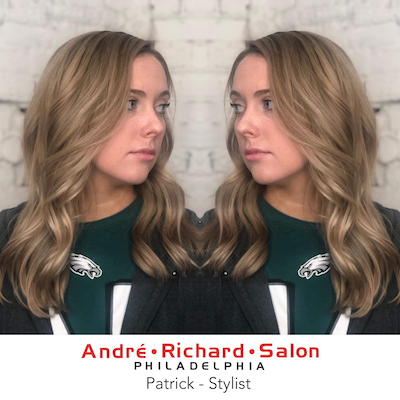 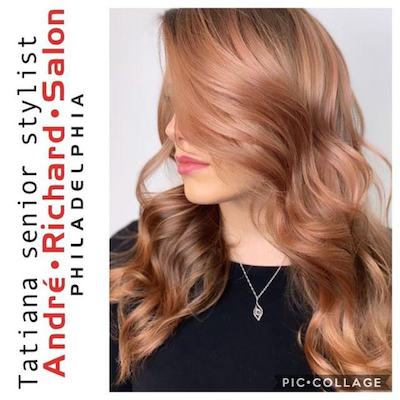 Book Online With Morgan or Call 215.735.1590 or head right to her Instagram Page! 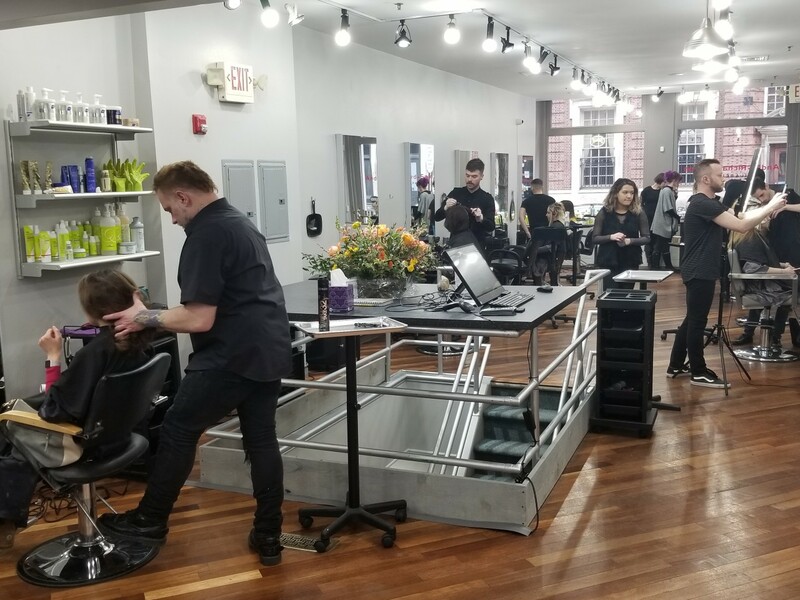 Although we loved 1218 Locust it was time to move into a bigger and better space. 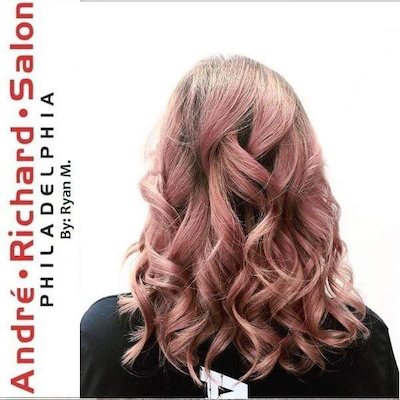 We are now at 130 Chestnut St Philadelphia Pa 19106 and have the same phone number. 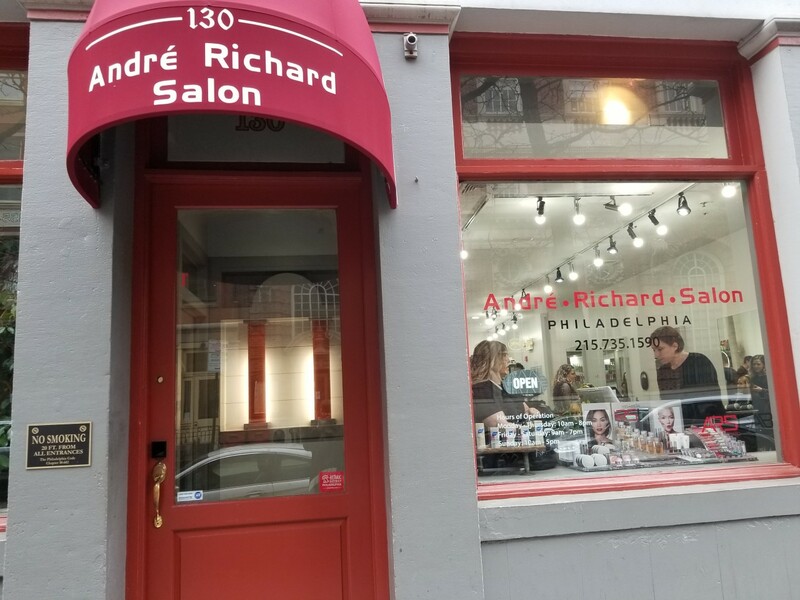 Validated parking is available at 37 S 2nd Street Philadelphia, PA 19106. 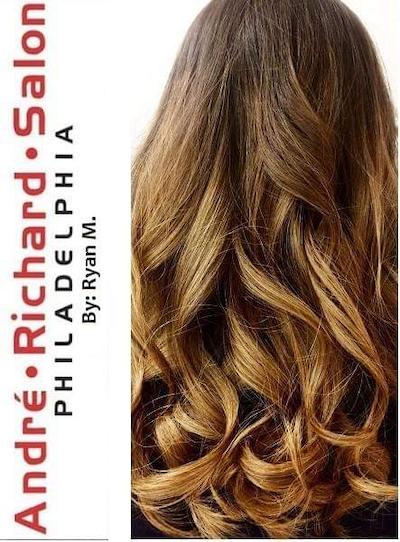 Buy the one you love a gift of beauty. 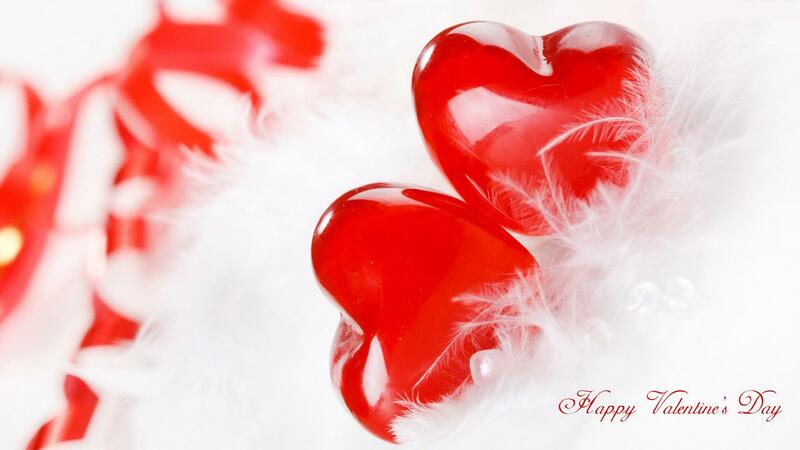 Printable or send them a link of love.